Day two of MAW Moscow brought more development and valuable lectures for the MAW participants. Brian Hoskins, EBT Microsoft, started off the day with a presentation on Marketplace and Monetization. The lecture included ways WP helps developers increase visibility and engagement, tips for how to price apps and increase advertising revenue, and ways to take advantage of unique monetization strategies on Windows Phone. Following the morning kickoff lecture, Sergey Ezyk, Business Group lead for the Windows Phone team in Russia and Ukraine, took the stage. 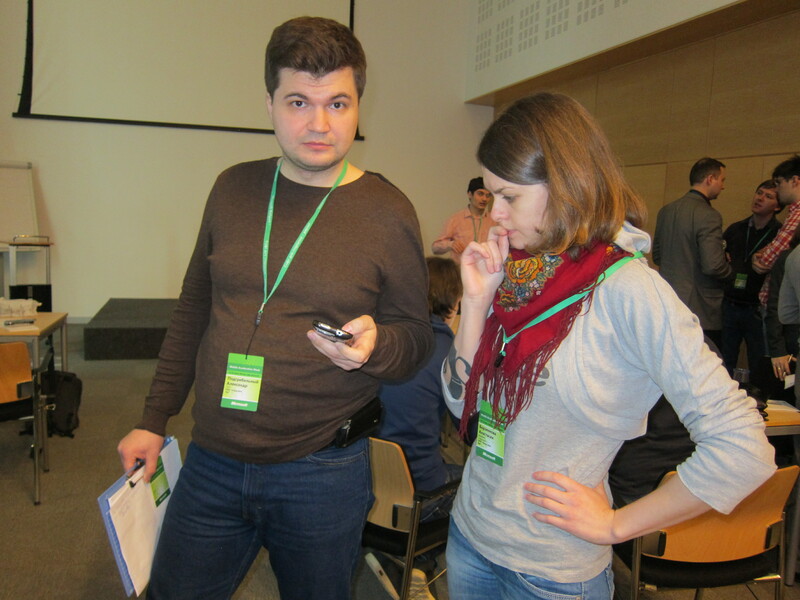 Sergey discussed the Windows Phone’s market share trajectory and how Microsoft and partners can promote applications. Sergey shared that the Nokia Lumia 800 is now the best selling smartphone in Russia > $400, handily outselling iPhone and Android phones. The Lumia 710 is #2 in its price category. Stas Pavlov, Developer Evangelist at Microsoft, then made a pre-lunch presentation. Stas discussed the WP7 platform features and the importance of utilizing those features to deliver a best-of-breed app. Before lunch was served, Mik Chernomordikov, Client Evangelism Lead, Microsoft, spoke about Windows Phone in Russia and Ukraine, including stats on downloads, sales, and key metrics. Following a much deserved lunch break, it was back to development and more development. The participants spent the remainder of the afternoon coding, developing, and designing. The companies had valuable 1:1 business consulting sessions with Microsoft’s EBT. These sessions allowed developers to ask questions and brainstorm on application design and architecture. They also spent time coding with Motivity Labs and iLink Systems. Each company is working around the clock to bring their best work and ideas to the WP7 platform. The startups finished their first code drop last night and are off to a strong start. Several of the startups even expect to have a fully functional app by the end of the week. Needless to say, Friday’s demo day promises to be an exciting one. The day closed out with a dinner and an opportunity to unwind and discusses individual progress. With the snow falling, the attendees left looking forward to another action packed day tomorrow!